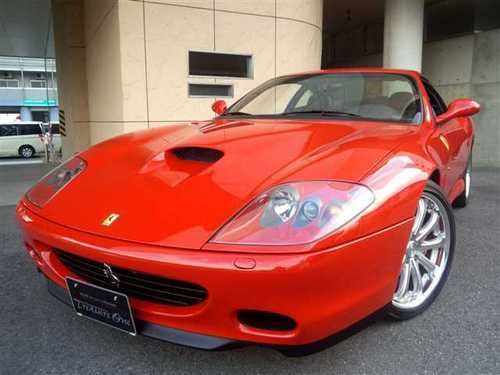 This is a COMPLETE Workshop Service / Repair Manual for Ferrari 575M Maranello 2003. This pdf manual is similar to the factory shop manual and works under all PC based Windows operating systems and even Mac. It provides all technical repair information for rebuilding or maintaining your Ferrari 575M Maranello 2003. No need to buy those costly Factory Shop Manual CD-ROMs. This manual is complete in itself and has all the information which the Shop Manual CD ROMs contains. * Plus Much.. Much..& More! PDF format enables you to print all, any or only the pages you need. Manual can be printed out easily in full or only sections you wish to print and use. Lots of pictures and diagrams at your fingertips!! Email delivery means no need to wait for your manual or pay for shipping. This file is sold by jetlion, an independent seller on Tradebit.